In what was an absolutely tumultuous year for Lionel Messi, the Argentine failed to make it to the podium of the Ballon d'Or for the first time in a decade to cap off what has been one of the worst years of his career. 2018 started well enough, as the Barca number 10 was on hand to down Chelsea and make light of the fact that he had never scored against The Blues in nine previous attempts to send Barcelona into the UCL quarterfinal for the tenth year running. From then on, however, it all went downhill. Leo was powerless to stop a total capitulation by the Blaugrana in the quarterfinal clash against AS Roma, as the Spanish champions found a way to throw away a 4-1 first leg advantage, falling to a 3-0 defeat at the Stadio Olimpico, with Messi once more going AWOL (making it five seasons and 10 matches without a UCL quarter-final goal) – just like that, Barcelona’s European dreams were shattered. Moving on, in what was arguably the mother of all underperformances, a highly talented Argentine squad flattered to deceive at the World Cup, needing a last-gasp victory against Nigeria and an Iceland defeat on the final day of the group stage to qualify from what was supposed to be an easy group on paper for La Albiceleste. Their deficiencies were fatally exposed by the French in the next round, as Kylian Mbappe and co-ran riot on an Argentine backline which struggled to keep up with the youth of the French. Once again, Argentine hopes for a first international title in over 25 years were dashed, with Lionel Messi taking the brunt of the blame, as criticisms flew in from all angles including from Diego Maradona. It was not supposed to be so, as the South Americans were even present at the Mundial thanks to Leo, as it was his hat-trick against Ecuador on the final day of CONMEBOL qualification which gave Argentina their World Cup ticket. His no-shows in the UCL knockout and World Cup contributed majorly to his individual award snub (with his fifth place Ballon d’Or finish proving the final straw). To make matters worse, immediately after his Ballon d’Or debacle, Pele came out with some rather absurd claims against Messi, suggesting that he should not be considered among the GOAT, as he only ‘shot with one foot, could not head the ball and only had one skill’. 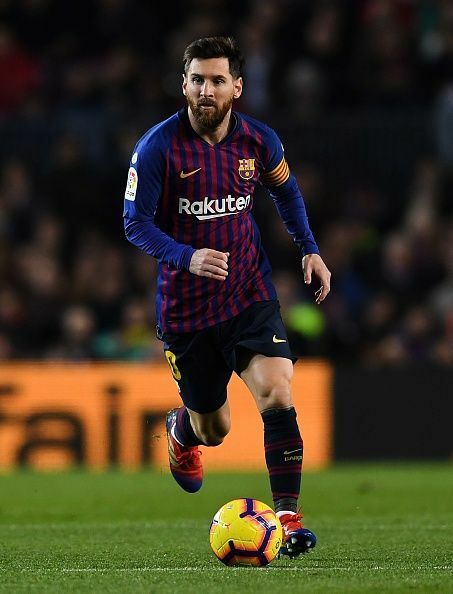 However, beyond his World Cup and UCL no-shows, Messi still had a fairly decent campaign last season, finishing as the best scorer in Europe for a record breaking fifth time (34 goals in 36 matches), as well as topping the assist standings in La Liga. Even though those figures fall some way off the superhuman stats we have become accustomed to from him in recent years, Lionel Messi is still arguably the best player of this generation (and unarguably one of the best of all time), and his fifth place Ballon d’Or finish is not only a travesty, but a mockery to all that he achieved last season. 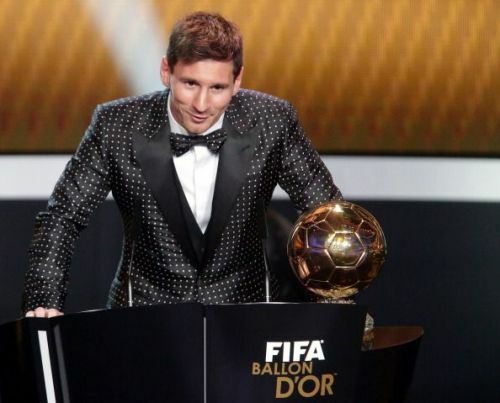 However, with 2018 coming to an end and a New Year approaching, the stage is set for Messi to claim football’s top honor for the first time in four years, and in this piece, we take a look at five reasons why Lionel Messi would win the 2019 Ballon d’Or. All of the events of the last year have seen Messi’s status doubted perhaps like never before, as questions have been raised over his suitability to be classified as a GOAT due to his underperformance on the international stage with his country, as well as his continued faltering in the knockouts of the UCL. The criticisms seem to have inspired to new heights (if that is even possible), as he embarks on a mission to reclaim his lost pride of place as the premier footballer in the world. There is a cold blooded edge to Messi’s game this season (which was rarely seen before), and he has the look of the man on a quest to silence his doubters (surprising given all he has achieved) once and for all. Messi is more business minded in the way he goes about his game this season, always going in for the kill and eager to put opposition teams to the sword at the slightest opportunity (his performance against Espanyol highlighted this new found edge). Earlier in the season, he sustained a shoulder injury which was expected to keep him sidelines for at least three weeks, but in scenes which shocked the world, the Argentine maestro was back to the fold just ten days later (as though each time spent on the sidelines was detrimental to the fulfillment of his goals). So far this campaign, he has scored 17 goals and has assists from 17 matches in all competitions, and sits top of both the La Liga as well as the UCL scorers charts, and at this rate, it is hard to imagine him not lifting a record sixth Ballon d’Or come next year.